Tonight’s guest blog post, on the topic of pronunciation in writing, is brought to you by multi-genre author Marion Grace Woolley. I recently released my first collection of short stories: Splintered Door. I approached it as a bit of a showcase. A chance to attempt ideas and styles that I’d not had the gumption to try before. One thing I wanted to have a go at was writing an American story. Could I push my imagination, and my skill, to cross-continental levels? Although I’d never been to America, there are a lot of US influences growing up in Britain. I’d read several American novels, watched countless movies; I can even manage a passable Goodfellas impression. How hard could it be? I was happy with my first draft of The Butterfly’s Predator. It’s about a young man who lives with his mother and his mentally-challenged sister. One day, whilst he’s supposed to be watching her, his sister disappears into the forest and uncovers a dark family secret. I have a few American friends, though what I required was an American who could also write. One who would understand what I was aiming for: authenticity. I was flabbergasted. Nobody seemed to understand why, whereas I didn’t understand why not. That stopped me in my tippety-tapping tracks. I’m not actually going to argue this assertion. I studied Language & Communication Research at post-graduate level. I know a thing or two about the social perception of accents. For instance, there have been studies in the UK which have shown direct correlations between a person’s dialect and how intelligent they are perceived as being. Generally speaking, people with Brummie (Birmingham) accents fare worst, being considered of lower IQ in job interviews and causing unease in over 70% of passengers surveyed on the topic of aeroplane announcements. RP (received pronunciation) or ‘Queen’s English’ on the other hand, suggests an educated person of above-average intelligence. Those with a northern accent, especially from Yorkshire, don’t always score highest on intelligence, but do tend to instil a sense of trustworthiness. It’s a favoured accent on insurance sales lines. Across the pond, those with a Southern accent are classed as America’s Brummies, scoring the lowest accent-to-IQ ratio in perception tests. Another entertaining twist is the ‘post-vocalic R’. This is where an R comes after a vowel. In the UK, if you drop it, you also drop a lot of negative assumptions. Conversely, in parts of the states, intelligence is placed vice versa, with an increased respect for individuals who include the post-VR. Similarly, in Singapore English, 76% of people in a study felt that those who use it are more intelligent than those who do not. Essentially, there’s a whole world of assumption placed on pronunciation. It’s far from a recent breakthrough. If you’ve read Lady Chatterley’s Lover, you’ll notice that Mellors affects a thick colloquial accent to disguise the fact that he was once a high-ranking officer in the army. Mellors (and through him, D. H. Lawrence) knew all too clearly the social perception of inflection. That this carries over into writing isn’t new, either. I just hadn’t heard it put quite so bluntly before: that ‘realize’, ‘honor’ or ‘program’ are just down-right ‘unintelligent’. What bothers me more, though, is the implication behind all of this. That the purpose of writing is to show how intelligent you, as a writer, are. To me, that seems almost the antithesis of good storytelling. Character comes first and foremost. If every character talks like you do, and aspires to demonstrate your highest level of intelligence – aspires to be intelligent – what a boring play we perform. The nature of intelligence itself has long been debated. There are several forms of IQ test, measuring a range of elements from academic ability to social intelligence. As a writer, there’s a huge range of opportunity in counter-intelligence: characters who get to where they’re going through much-maligned ‘luck’ rather than by design. Or those, like Mellors, who speak with all the airs and graces of a pit pony, yet go on to astonish us with their cunning rationale. At its core, the language your character chooses to use is a mask. No less important than the clothes they wear, the items they feel connected to, and the thoughts they express. Their idiolect is theirs and theirs alone. By giving them one – an accent, a speech pattern, a favoured hedger, even a lisp – you create depth. Not only depth, but the ability to be something other than what they appear at face value. Language embodies the beautiful art of distraction, whether spoken or written. As a writer, cherish this. Use it to your advantage. Don’t be afraid to create a character that seems a little under par. They can only turn out to surprise us, whereas a know-it-all is always a know-it-all. Absolutely, characters with flaws are more realistic… perfection can easily become tiresome. Thank you, Marion! 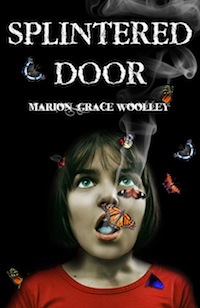 Marion Grace Woolley is the author of four novels and a collection of short stories. In 2009, she was shortlisted for the Luke Bitmead Bursary for New Writers. Balancing her creative impulses with a career in International Development, she has worked and travelled across Africa, Australia, Armenia, and a few other places beginning with ‘A’. 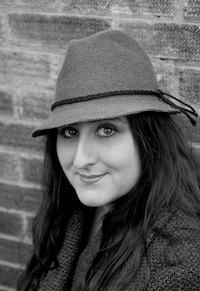 An associate member of the Society of Authors, Marion is currently at work on her fifth novel. You can find out more about Marion and her writing from her website and see her book trailer on YouTube. The blog interviews return as normal tomorrow morning with short story author Christopher Farley – the five hundred and twenty-third of my blog interviews with novelists, poets, short story authors, bloggers, autobiographers and more. A list of interviewees (blogged and scheduled) can be found here. If you like what you read, please do go and investigate further. And I enjoy hearing from readers of my blog; do either leave a comment on the relevant interview (the interviewees love to hear from you too!) and / or email me. You can sign up to receive these blog posts daily or weekly so you don’t miss anything… and follow me on Twitter where each new posting is automatically announced. You can also read / download my eBooks and free eShorts at Smashwords, Sony Reader Store, Barnes & Noble, iTunes Bookstore, Kobo and Amazon, with more to follow. I have a new forum and you can follow me on Twitter, friend me on Facebook, like me on Facebook, connect with me on LinkedIn, find me on Tumblr, complete my website’s Contact me page or plain and simple, email me. Here we say “It’s all in the way you hold your mouth”. lol Now that seems more literal than I thought. Perfection is not what to seek. No worries there. Writing in your language is a right! !